La Fortuna has long been a backpackers’ destination, and there are numerous hostels that will cater to that type of traveler. 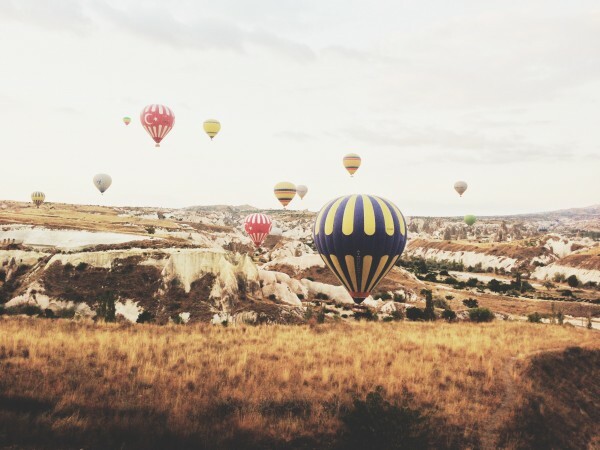 Additionally a number of nicer resorts are also available, but those come with a hefty price tag. 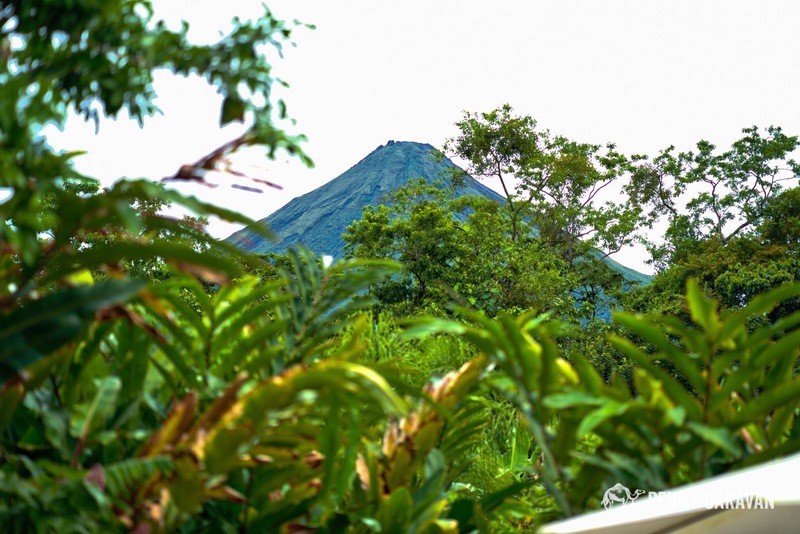 If you’re a budget-minded traveler looking for resort-like amenities, Casa Luna might be the perfect stay for your trip to the Arenal Volcano area of Costa Rica. Our room was located at the end of the property, next to a trail that led into the jungle. Rooms: Casa Luna has 36 standard (18 ground level and 18 upper level) rooms, along with a handful of superior rooms and suites. 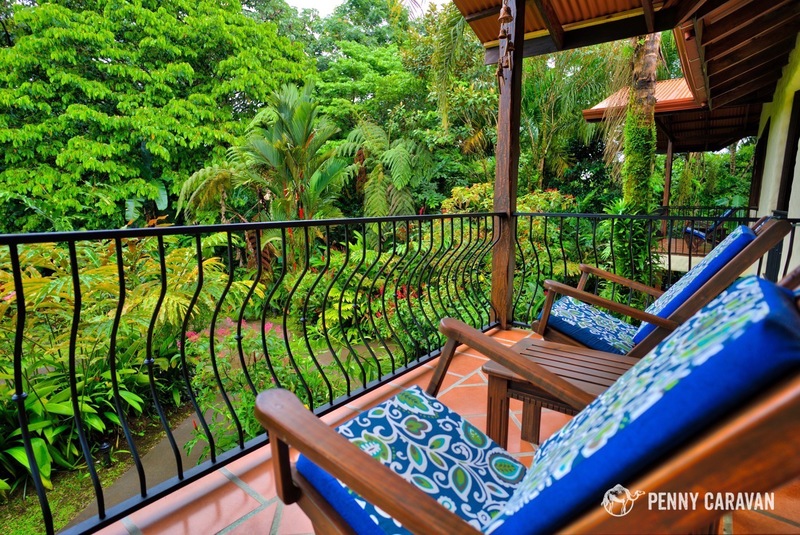 In all, the property is quite intimate and offers guests a feeling of seclusion. Standard rooms feature two queen beds and a balcony or porch. The rooms are fairly sparse, but with enough comforts befitting their affordable price. 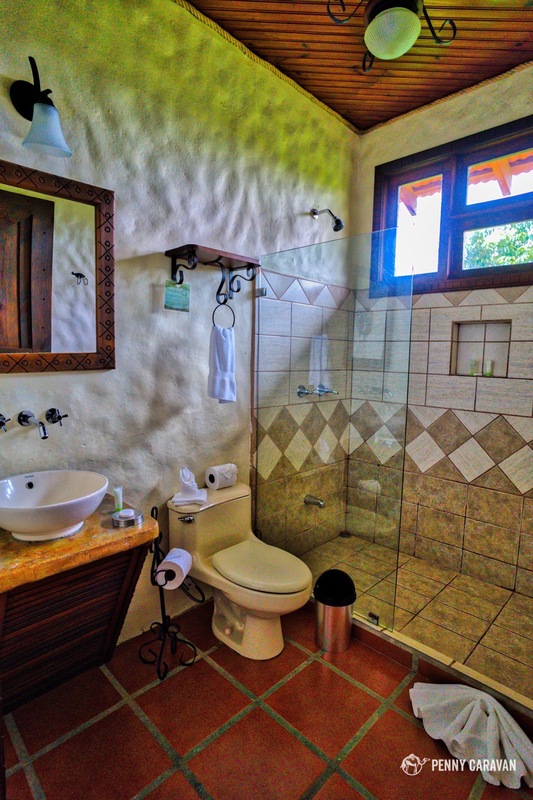 The bathroom was large, with a walk-in shower, and the AC kept us cool on balmy afternoons. Wi-fi was readily available in the room and across the property with reliable speeds. Some rooms have a direct line of sight to Arenal, but trees blocked the view from our balcony. That was okay with us, as we were able to watch beautiful tropical birds fly amongst the trees and hear their birdsong. In all, our room offered a nice respite from the busy activities of the day. All standard rooms feature two queen beds. The bathroom is large with a nice walk-in shower. From our balcony we could bird watch and enjoy the sounds of the jungle. 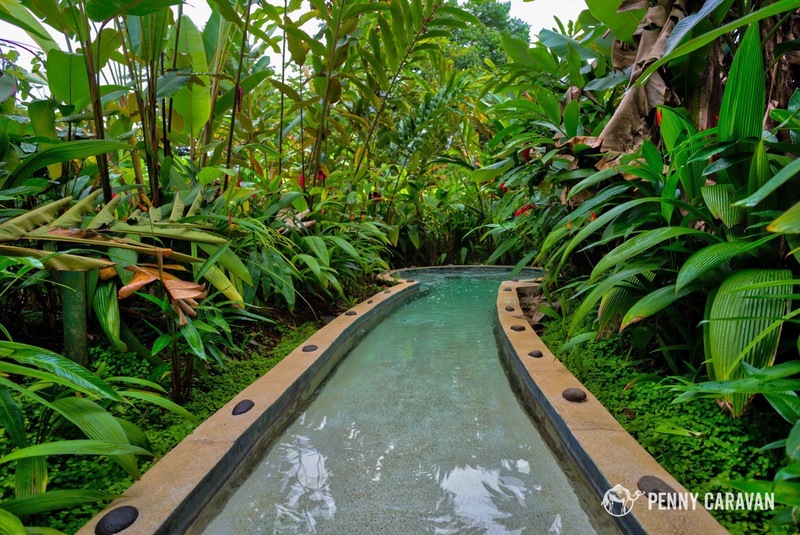 Hotel Property: Paths across the property are lined with jungle landscaping, creating an intimate environment that offers a sense of seclusion. This is most evident in the four hot tubs adjacent to the pool. 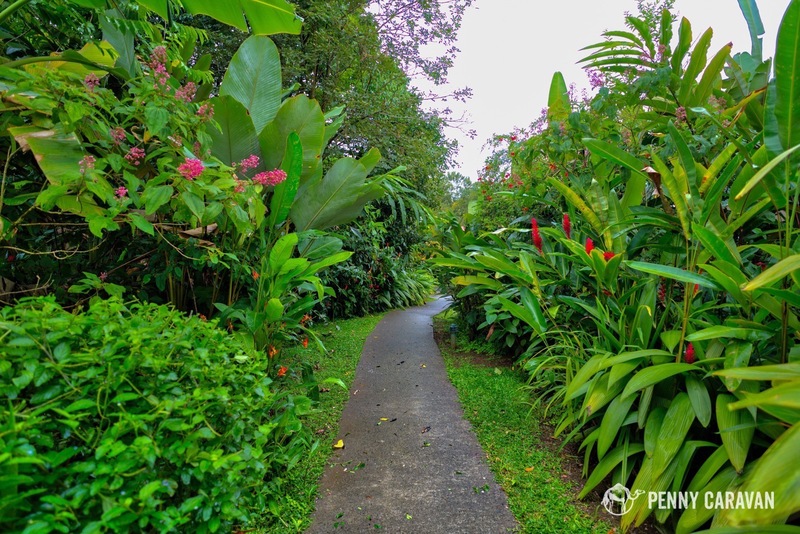 Each one has a path that leads it surrounded by dense jungle landscaping, allowing you to soak in quiet serenity. These hot tubs were really the highlight of our entire stay. 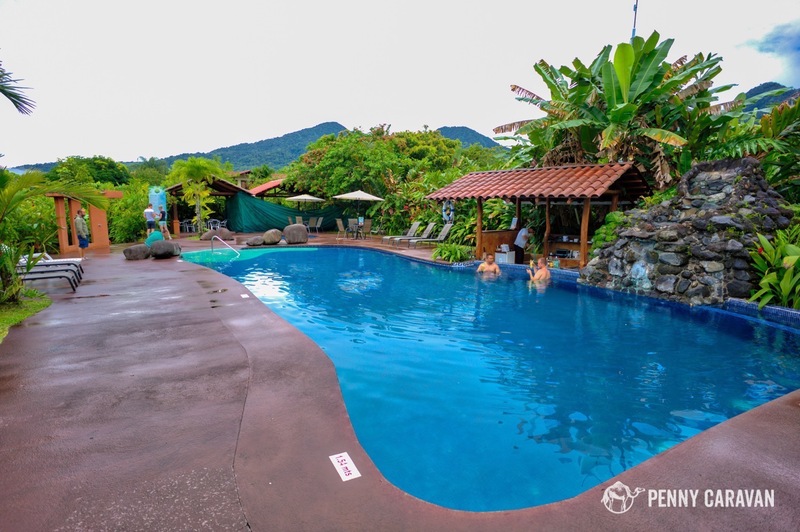 The Arenal area has numerous hot spring day spas, and a visit to one was originally on our list of things to do, but we found the hot tubs to be so enjoyable that we decided to nix the springs and save the money. The pool bartender will periodically stop by to take drink orders, but other than that, you’ll be able to relax in privacy. There is also a spa on site, which offers a range of services and treatments. We opted for the special they were running which included a 60 minute Swedish massage with volcanic mud from Arenal. We scheduled our appointment while the sun was setting and listened to the calming sounds of the jungle in the open air massage hut. 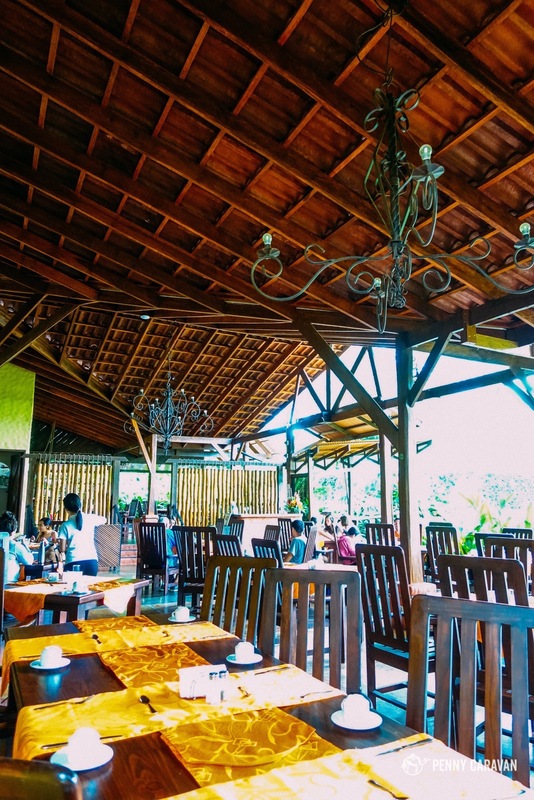 Also on site is a restaurant, which serves the included breakfast, consisting of a well-appointed buffet with local fare along with an omelette station. 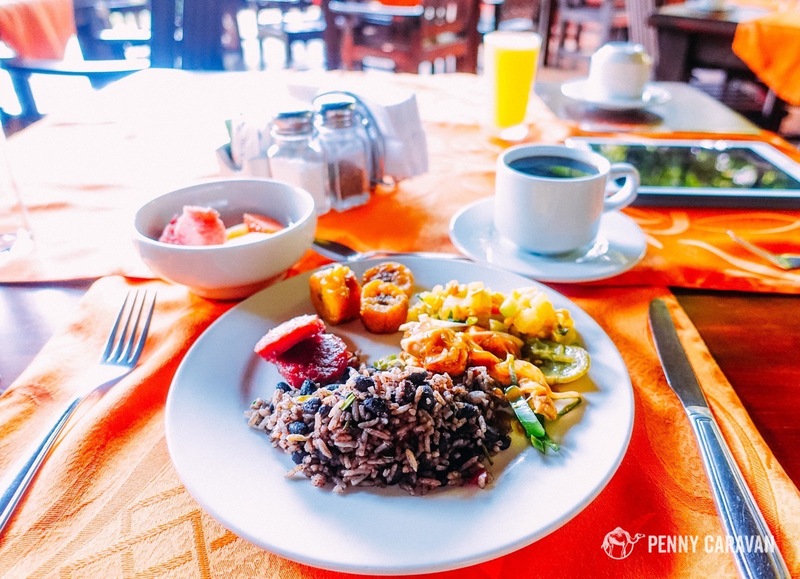 During our trip we quickly became fans of Costa Rican breakfast, and the buffet didn’t disappoint with black beans and rice, fried plantains, and signature Lizano sauce filling our plates. Secluded path along the property. Pool with swim up bar and lounge chairs. One of the four hot tubs offering guests privacy. 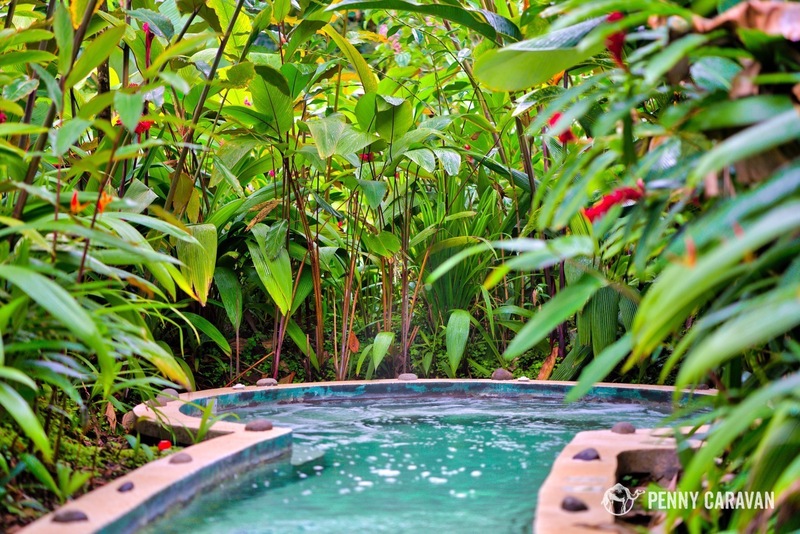 The hot tubs are surrounded by jungle landscaping. The restaurant where complimentary breakfast was served. Breakfast included some local specialties as well as international offerings. 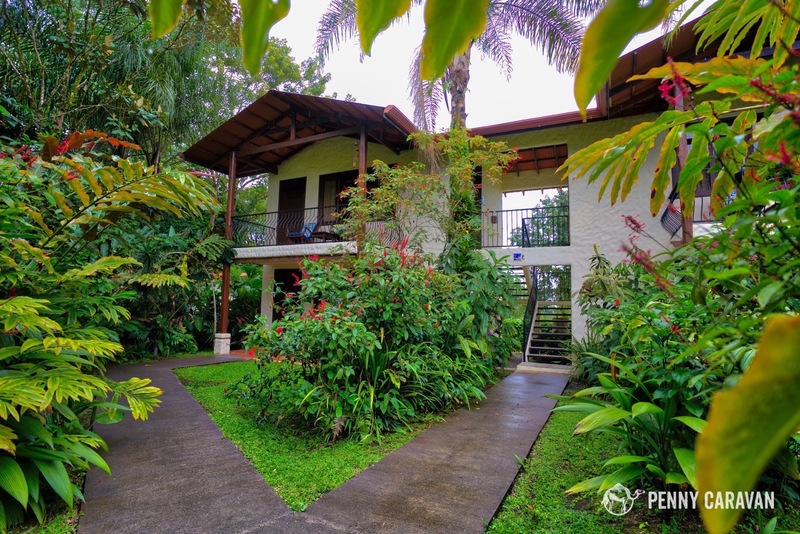 Location: Located at the edge of town, Casa Luna offers guests a relaxed stay away from the bustle of downtown La Fortuna. 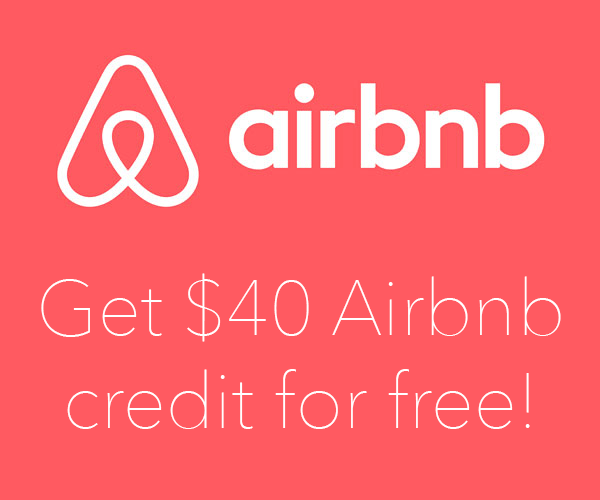 It’s best suited for those who have rented a car as it a ways from the main transportation lanes of La Fortuna. Taxis could also be an option, but fares will quickly add up. 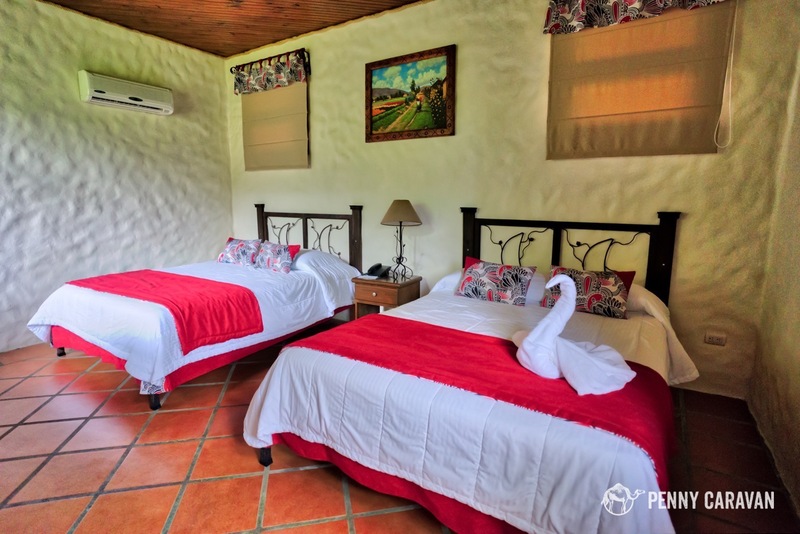 If you do have a rental car, you will be able to easily get around to any of the attractions in the Arenal area, with Casa Luna offering a nice base to explore from. View of Arenal Volcano from the pool. In Conclusion: Casa Luna offers a spa-like experience at an affordable price. With standard rooms having two queen beds, it’s a good option for budget-minded families. The pool and hot tubs are standout amenities, so much so in our case that we pocketed the money we had set aside for local hot springs, making the hotel that much more of a value. 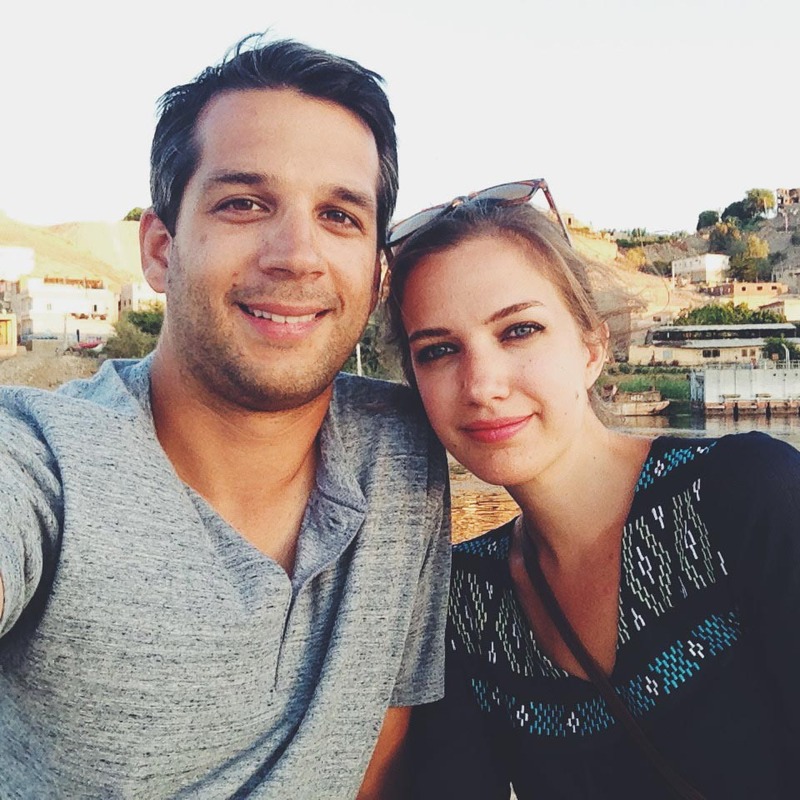 We enjoyed our stay at Casa Luna and feel it really struck a nice balance between cost and comfort. Book Casa Luna Hotel and Spa on Booking.com for the best deal! 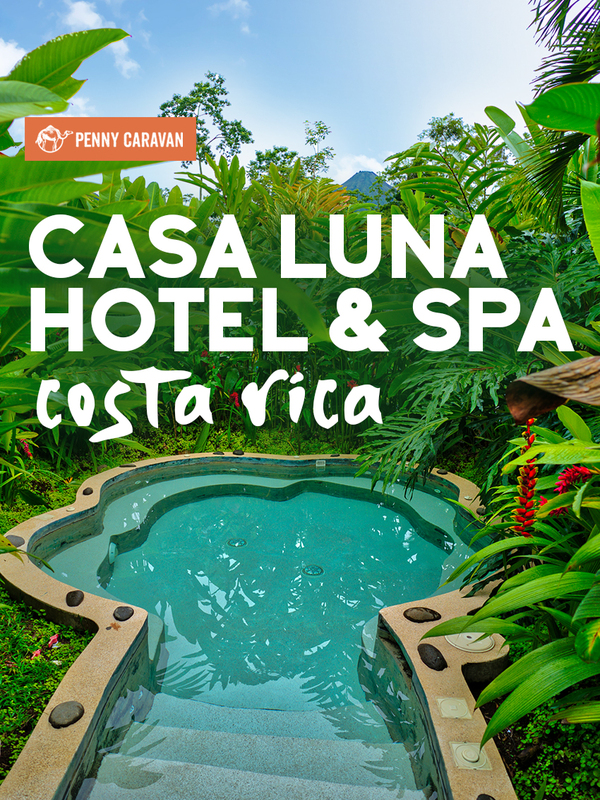 PennyCaravan’s review of CASA LUNA HOTEL & SPA was spot on! My wife and I took their advice and booked our first 3 nights of our trip to Costa Rica late June 2017. Thank you for the recommendation and perfect description of the hotel. We would highly recommend and would book again in heartbeat. Awesome Daniel, glad you liked it!